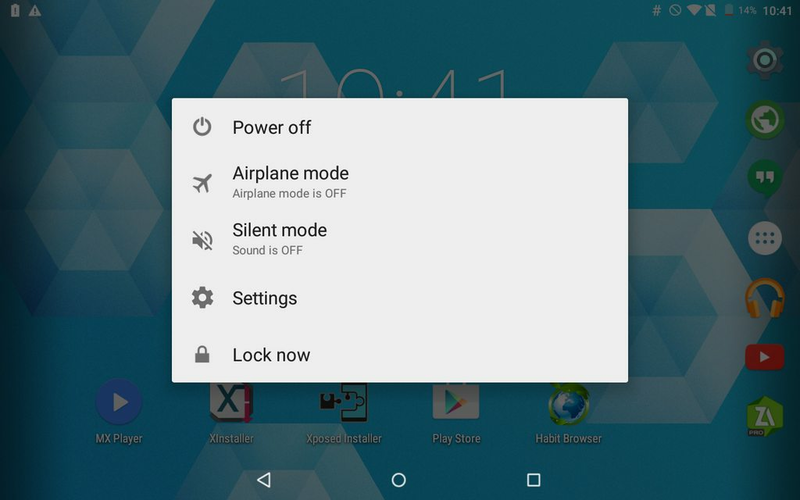 Customize power menu in Android Lollipop. Open Xposed Installer -> Modules and click on Lollipop Power Menu to customize power menu. After you change settings, please restart your device! NOTE: This is simple config modification so this means that every item in power menu is developed by Google, not by me. This also means that I will NOT add another items in power menu. Use other Xposed modules for that.